The earthquake bearing a magnitude of 7.1° on the Richter scale that struck Mexico on Tuesday, September 19, has caused hundreds of victims: 217, according to the Civil Protection Service as of this morning, but the number may increase due to the high probability that there are people trapped under collapsed buildings. Mexico’s National Civil Protection Coordinator, Luis Felipe Puente, said the victims numbered 86 in Mexico City, 71 in Morelos, 43 in Puebla, 12 in the State of Mexico, 4 in Guerrero and one in Oaxaca. Unfortunately, following the collapse of the “Enrique Rebsamen” school, there are at least 25 children among the earthquake’s victims. The search for survivors is currently underway. Shortly after the earthquake, the Provincials of the two Provinces of Mexico, Fr Hugo Orozco Sánchez, of Mexico-Guadalajara (MEM), and Fr Gabino Hernández Paleta, of Mexico-Mexico, sent a statement regarding the status of Salesians and the Salesian centers throughout Mexico, affirming there was no harm to people and that damage to property would be quantified at a later date. 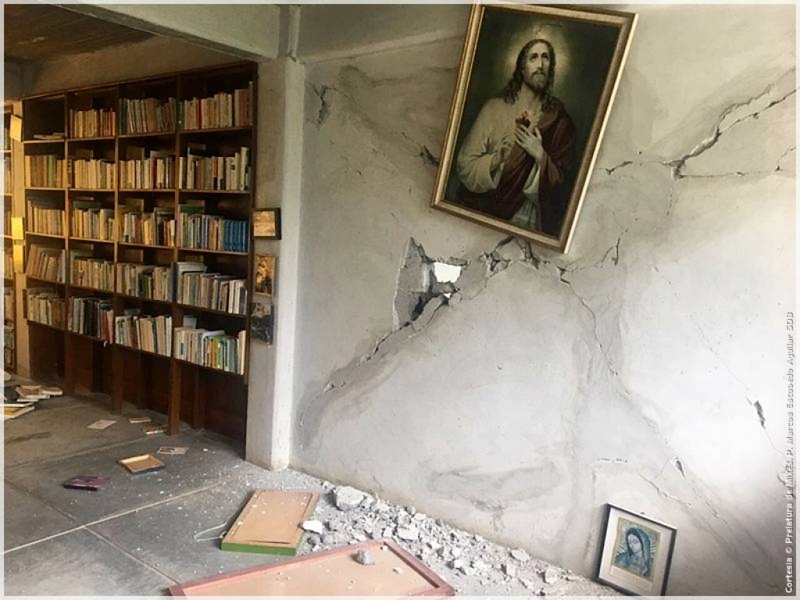 In the forthcoming hours, the Salesian centers shall be busy providing not only material support but, above all, spiritual and human support to the many people who have lost peace and serenity.